Six months ago, Jim Bray's latest episode of "Star Trek Anthology" — a collection of three web series produced by local Trekkies — was cruising along at warp speed. All were based, of course, on the fictional universe created by "Star Trek" founder Gene Roddenberry. And then Bray got swept up in the battle of Axanar, which disrupted his Franklin County production company like a photon torpedo to his warp drive. Now he can't even use the terms "Star Trek," "photon torpedo," "warp drive" or any of the other culturally ubiquitous jargon from the classic sci-fi television and film franchise without risking legal repercussions. "When that hit, we were like, 'We're done!'" recalls Bray, a 55-year-old retired theatrical set designer in Highgate Springs and the creator and executive producer behind the web-based "Anthology" series. "For over 10 years people have been making these ["Star Trek"] fan films using common sense, doing them as a labor of love. Then this guy comes along and sees it as a way to line his pockets." Bray is referring to a December 2015 lawsuit brought by "Star Trek" franchise owners CBS Studios and Paramount Pictures against Alec Peters and his Axanar Productions. According to court documents, California-based Axanar raised more than $1 million through crowdfunding campaigns to produce a professional-quality prequel to the original 1960s "Star Trek" series. CBS and Paramount sued, claiming that Axanar had violated their intellectual property rights. Once the case settled late last year, CBS and Paramount issued restrictive new guidelines for hundreds of fan-film productions like Bray's worldwide. 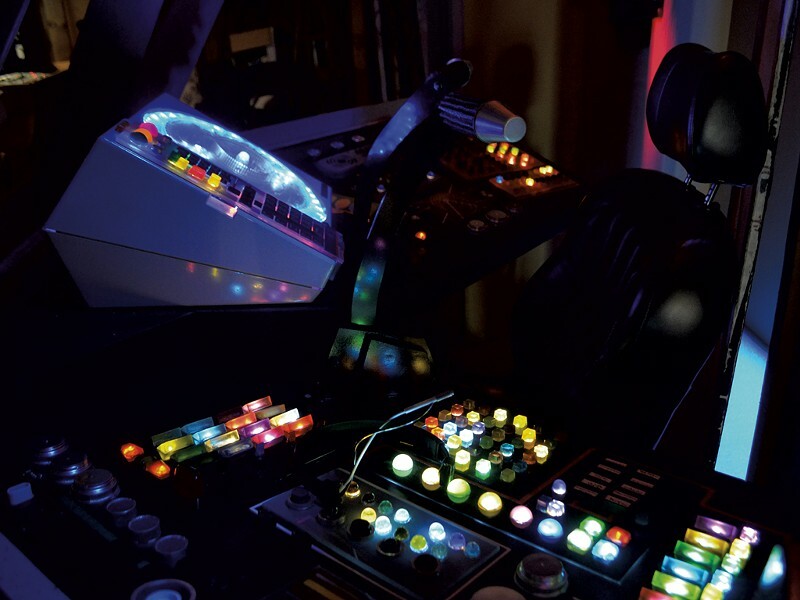 The vast majority of those productions, he notes, are tiny mom-and-pop projects that are filmed on shoestring budgets as a way to celebrate "Star Trek" culture. Most are self-funded efforts using unpaid volunteers. A few — such as the Ticonderoga, N.Y.-based web series "Star Trek: New Voyages," which rebuilt the entire set of the USS Enterprise using Desilu Productions' original blueprints — occasionally pay their actors and crew, some of whom were associated with the real McCoy. Rehearsal for the pilot episode of "The Outer Rim"
Among other things, the new guidelines prohibit fans from using the words "Star Trek" in their title, forbid the use of paid actors and crews, restrict the length of fan films to a single 15-minute episode without sequels, and limit fundraising to no more than $50,000. Bray, who knew that resistance is futile, decided that the show must go on — if necessary, in a brand-new universe of their own design. Now, he and his team say it's been the best thing to happen to their project. It didn't seem that way at first, he admits. At the time, Bray had just received delivery of $3,000 worth of Starfleet uniforms, sewn by a Las Vegas costume designer using fabrics from the original 1960s TV series. (Bray's entire production budget is about $5,000.) But because the new guidelines prohibit the use of unlicensed "Star Trek" merchandise and costumes in fan films, Bray had to sell off his and start from scratch. "You're looking at those uniforms," he says, pointing to the film set he and his crew built on the stage of the Enosburg Opera House in Enosburg Falls, using the proceeds of that costume sale. Last week, Bray assembled a cast and crew of about a dozen people from around the country to shoot the first episode of "The Outer Rim." As Bray explains, their new universe is akin to those found in the films Aliens and Starship Troopers. Corporations own and operate the government, and space travel is driven more by resource acquisition than Roddenberry's nobler themes of scientific exploration and peaceful interspecies coexistence. The pilot episode of "The Outer Rim," titled "Rift," tells the story of a ragtag crew of five planetary surveyors on the last leg of a yearlong mission. Bray describes them as contractors "like Blackwater, only without the evil." While en route home to Earth, the crew is asked to investigate a space anomaly. "And when they get there, all hell breaks loose," Bray says. An alien presence tears a rift in the time-space continuum, sucking the captain's soul out of his body and swapping places with him. The crew must rescue their captain with help from another alien in the alternate universe. In rewriting their script post-Axanar, Bray and his scriptwriter, Brian Covault, excised all references to the "Star Trek" franchise: Starfleet was replaced by Fleet Command, phasers became energy pistols and the United Federation of Planets turned into the Unified Worlds Consortium. 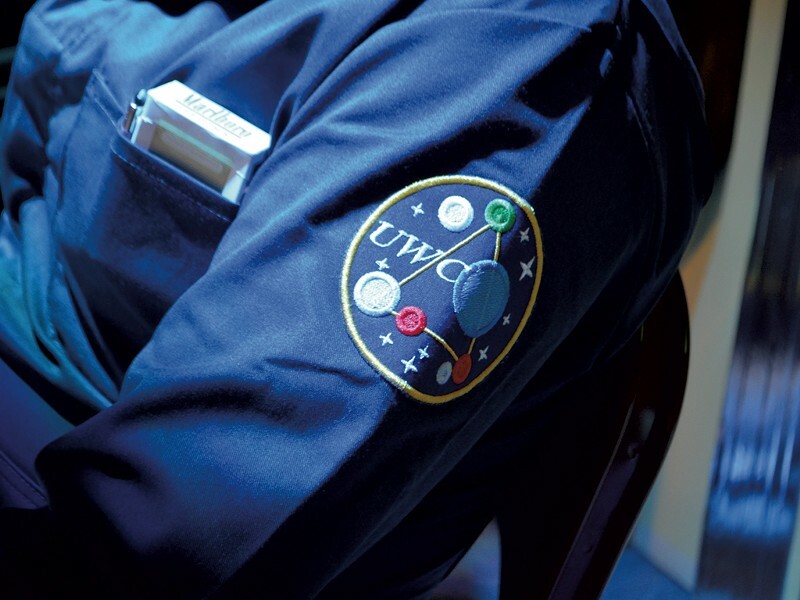 During filming last week, those changes were so new to the cast and crew that when actor Spencer Lemons was asked what the UWC patch on his uniform stood for, he confessed, "I have no idea. United Women's Congress?" Lemons, a 30-year-old retail store manager from Enosburg Falls, plays Donald "Speedy" Holland, the ship's brainiac slacker. He seems representative of many in "The Outer Rim" company: a longtime fan of "Star Trek" and other science-fiction films and series. As evidence, Lemon displays his right wrist, which bears a tattoo of a Klingon expression; on his left wrist are tattoos of three sci-fi spaceships: the USS Enterprise, the Serenity (from the "Firefly" TV series) and the Millennium Falcon of Star Wars fame. To avoid a lawsuit, "United Federation of Planets" was changed to "Unified Worlds Consortium"
Other Vermont locals in the cast include Sarah Mitiguy, who portrays Dr. Lira Gonzalez, the ship's chief medical officer and the captain's girlfriend. Mitiguy, 38, lives in Sheldon and works for the Vermont Office of Child Support. She admits she wasn't a huge "Star Trek" fan as a kid, but her father was, so she saw plenty of reruns. "I'm more of a fantasy person than a sci-fi person," she says. 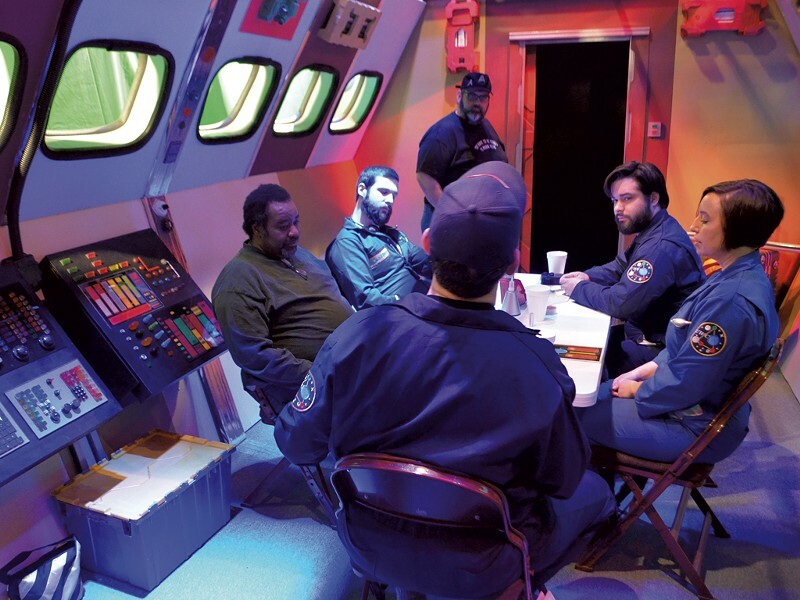 Other cast and crew traveled to Vermont last week on their own dime simply because they love making sci-fi fan films, including a postal worker from Troy, N.Y., and a freelance writer and life coach from Brooklyn. Bill Lutz, a professional illustrator, cartoonist and video editor from Philadelphia, is the show's lead editor and videographer. Lutz met Bray through James Cawley's Ticonderoga production company; they've since worked together on several "Trek"-related fan films. Lutz suggests that the new guidelines from CBS and Paramount have actually been a real boon to "The Outer Rim" because it freed them from the constraints of "Star Trek" lore. "It's made things much more creative for us, and it could be potentially better for us financially," Lutz says. "Whether we succeed or not is immaterial. We're doing something original, and I think originality is always better." "We've created our own world," he adds. "This is our [intellectual property], and if we want to sell DVDs and Blu-rays and coffee cups and T-shirts, we can do that now. And no one can stop us." Still, hard-core Trekkies may notice what Bray calls "Easter eggs," or subtle nods to Roddenberry's universe, hidden throughout "The Outer Rim" series. They include details on the ship and lines of dialogue containing obscure "Star Trek" references. Bray expects that "Rift" will be available online for free public viewing by summer's end. As always, he adds, volunteers and financial supporters are welcome on this and future episodes. To learn more, visit exploretheouterrim.com/sweepers.